Concentration exercises sharpen the mind and improve the ability to concentrate. Read the article first, or go right to the concentration exercises below. These are mental exercises that will strengthen the power of your mind. Sharpening the needle of concentration requires practice, like everything else in life. Do you go to the gym? If you do, how many times a week, and for how long? Have you studied a foreign language? If you did, for how long did you practice, until you had a basic knowledge of the language? It is the same with developing your concentration. You need training and practice. Even only ten minutes a day of concentration exercises will do you good. Your mind does not like discipline, and will resist your efforts to discipline it. It loves its freedom more than anything else, and won't let you master it. It will make you forget to do the exercises, tempt you to postpone performing them, or make you feel too lazy. It will find many tricks to occupy your attention with something else. The choice is yours, to be mastered by the mind and its whims, or to be its master. Below, you will find a few simple concentration exercises. By practicing mental exercises, you train the mind and master it, and put it in its proper place, as your servant, and not as your boss and master. You are not the mind, nor the thoughts that pass through it. Though it might be hard to accept this idea, the mind is not you, the real you, but only a tool that you use. It is an instrument, which has great value, but it has to be taught to obey you. Most people believe that they are the mind, and erroneously believe that controlling the mind means holding themselves back and denying their freedom. They feel that controlling their mind is not natural, and that it is some sort of repression. These beliefs are not correct. Learn how to improve your focus and strengthen your concentration skills with simple mental exercises. If you want success, focus is a must. The Concentraion that we are not in the mind comes with training. Accept the idea in theory, and in time, as your control over your thoughts grows, you will know it as a fact. In reality, you, the real you, is the one mastering the mind. It is not the mind mastering itself. Find a place where you can be alone and undisturbed. If you wish, you may sit crossed legged on the floor, but most people would find it more comfortable to sit on a chair. Sit with your spine erect. Take a few calm deep breaths and then relax your body, by directing your attention to it, and relaxing each muscle, from head to toe. Practice each of the exercises below for about 10 minutes, and after a few weeks of training, you may lengthen the time to 15 minutes. It is important that you start with the first exercise, and practice only one at a time, until you are able to do it without getting distracted or forgetting it, and without thinking about anything else. This might take days, weeks and even more. proceed to the next one, only after you are convinced that you have practiced it correctly and with good concentration. There is no timetable, since this could be frustrating. If, for example, I tell you to practice a certain exercise for a specific number of days, two things might happen. You might get disappointed, if you cannot get the desired concentration within the allotted time period. You might also proceed to the next exercise, without practicing correctly the previous one. Mastering the exercises successfully can take days, weeks, months and sometimes even more. Put your whole attention into the exercises, and do not think about anything else. Be careful not to fall asleep, daydream or think about other matters. The moment you find yourself thinking about something else, stop the exercise and start again. After you become proficient, lengthen the time, and if possible, include another session in the afternoon. Do not attempt too much at the beginning, and don't try to perform them all at once. Go slowly, without overdoing them or tensing your brain. If you find it too difficult, or thoughts distract you and make you think about other matters, don't despair. Everyone encounters difficulties along the way. If you persevere and never give up, in spite of difficulties and disturbances, success will crown your efforts. Remember, even those with powerful concentration had to exercise their minds. It does not matter if your concentration is weak now. It can be developed and strengthened like any other ability, through training. In time, you will find out that you can concentrate anywhere, anytime, no matter where you are. You will be able to focus your mind, think and function under the most trying circumstances, while remaining calm, relaxed and collected. The reward is worth the effort a thousand fold. Now, let's start with the exercises. For the full benefit, it is advisable that you practice each exercise for one additional week, after you are convinced that you are practicing it correctly and with full attention. Take a book, any book, and count the words in any one paragraph. Then, count them again, to be sure that you have counted them correctly. After a few times, do so with two paragraphs. When this becomes easy, count the words of a whole page. Do the counting mentally and only with your eyes, without pointing your finger at each word. Count backwards in your mind, from one hundred to one. Count in your mind from one hundred to one, skipping each three numbers, that is 100, 97, 94, etc. Choose an inspiring word or phrase, or just a simple sound, and repeat it silently in your mind for five minutes. 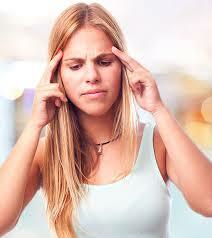 When your mind can concentrate more easily, try to reach ten minutes of uninterrupted concentration. Take a fruit, an apple, orange, banana or any other fruit, and hold it in your hands. Examine the fruit from all its sides, while keeping your whole attention focused on it. Do not let yourself be carried away by irrelevant thoughts that might arise, or thoughts about the grocery where you bought the fruit, how and where it was grown, its nutritive value, etc. Stay calm, ignoring, and showing no interest in these thoughts. Just look at the fruit, focus your attention on it without thinking about anything else, and examine its shape, smell, taste and the sensation it gives you when you touch it. This is the same as exercise number 5, only that this time you visualize the fruit, instead of looking at it. Start, by looking at the fruit and examining it for about 2 minutes, just as you did in exercise number 5. Then close your eyes, and try to see, smell, taste and touch the fruit in your imagination. Try to see a clear and well defined image. If the image becomes blurred, open your eyes, look at the fruit for a short while, and then close your eyes and continue the exercise. You may imagine holding the fruit in your hands, as in the previous exercise, or imagine it standing on a table. Take a small simple object such as a spoon, a fork, or a glass. Concentrate on one of these objects. Watch the object from all sides without any verbalization, that is, with no words in your mind. Just watch the object without thinking with words about it. After becoming proficient with the above exercises, you may try this exercise. Draw on a piece of paper a small triangle, square or a circle, about three inches in size, and paint it with any color you wish. Put the paper with the drawing in front of you, and concentrate your whole attention on the shape you have drawn. For now, only the drawing exists for you, with no unrelated thoughts or distractions. Keep your attention on the drawing, and avoid thinking about anything else. Be careful not to strain your eyes. Start the same as number 8, but after looking at the figure for a moment, close your eyes and visualize the figure with the eyes closed. If you forget how the figure looks like, open your eyes for a few seconds, look at the figure, and then close your eyes and continue with the exercise. The same as number 9, but now visualize with your eyes open. Try for at least five minutes, to stay without thoughts. Do this exercise, only after you have practiced all the previous ones successfully. If you practiced the preceding exercises correctly, you will be able to impose silence on your thoughts, even if this is at first, just for a short while. Constant practice is the secret of success. The more time you devote to the exercises the faster you progress, but you should do it gradually. Start with ten minutes, and as it becomes easier, and your ability to concentrate improves, increase the time. When you start to see results, you will begin to love the exercises. You will be able to concentrate your attention easily and effortlessly, upon anything you want to concentrate on. Do you jog, exercise at the gym, or study a foreign language? How difficult it was when you first started? How many times you wanted to quit? Despite the difficulties, after a while, you started to like what you were doing. It became a habit, and did not require special effort. So it is with developing the power of concentration. After some practice, it will be easier to concentrate, and your mind will learn to be calm and relaxed. People, circumstances, and events that used to agitate and anger you, will not disturb you. You will experience happiness and contentment, and gain self-confidence and inner strength. You will be able to cope more easily and efficiently with the outer world. You will feel a new form of consciousness growing in you, bringing you peace of mind. At first, you will experience it sporadically and for a brief moment, but in time, it will grow and fill you completely. You will be able to make the mind work for you in a most efficient way, and you will also be able to silence it when you want. After your concentration gets stronger, your attitude and reactions to events and people will change, and you would discover many things about the mind, how it functions, and how to use it efficiently. GG Star Online is a blog to provide information about health, fashion, beauty, tips, remedies, happiness and much more. Stay Tuned for latest updates! 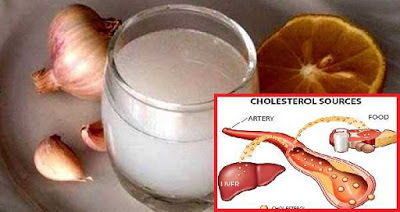 You Can Cure Your High Blood Pressure and Cholesterol Forever!